Manos table multivibrator has one stable state and one quasi-state. It is also known as one-shot multivibrator or univibrator. 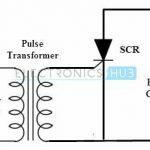 It remains in its stable state an input pulse triggers it into its quasi-stable state for a time duration determined by the discharging an Rc circuit and circuit returns to its original stable state automatically. It remains there unit the next trigger pulse is applied. Thus, a monostable multivibrator cannot generate square waves of its own like an astable multivibrator Only external trigger pulse will cause it to generate the rectangular waves the circuit of a transistor monostable multivibrator. 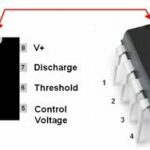 The capacitor Co is changed to approximately + Vcc through the path Vcc, R and Q1 As the capacitor C discharge, the base of Q2 is forward biased and collector current starts to flow into Q2. Thus Q2 is quickly driven to saturation and Q1 is cut off. 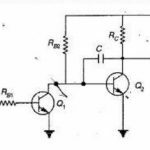 This is the stable state for the circuit and remains in this condition until another trigger pulse remains in this conditions until another trigger pulse causes the circuit switchover states. 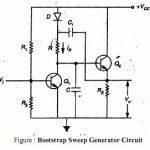 How miller sweep circuit is work?